MANILA, June 5 -- Foreign tourists who have visited the Philippines in the first quarter this year (January to March 2017) was up by 11.4 percent to 1.784 million visitors compared to the 1.6 million visitors it acquired in the same period last year, the Department of Tourism (DOT) said Monday. DOT Assistant Secretary and spokesperson Frederick Alegre said the increase was driven by the signing of several agreements between the Philippines and other countries as well as the continued staging of international events. “From the time Secretary Wanda (Teo) took over, DOT has entered into five agreements with major sources of tourists including China, Japan, Cambodia, Russia and Istanbul,” Alegre said in the press conference at the Manila Hotel. The UNWTO conference will be held at the Mariott Hotel in Manila from June 21 to 23, 2017. Tourism Ministers from at least five countries have already confirmed attendance including Thailand’s Kobkarn Wattanavrangkul, Fiji’s Shaleen Ali, Sri Lanka’s John Amaratunga, Sudan’s Mohammed Abuzaid Mustafa, and Seychelles’ Didier Dogley. Alegre, meanwhile, assured that despite threats to national security such as the siege in Marawi City and burglary attack in Resorts World Manila in Pasay, the agency wants to show that tourism promotion is continuous. “If the government’s motto is build, build, build, DOT’s is promote, promote, promote,” he further said. He said that its target to acquire at least 7 million foreign tourists by yearend stays. 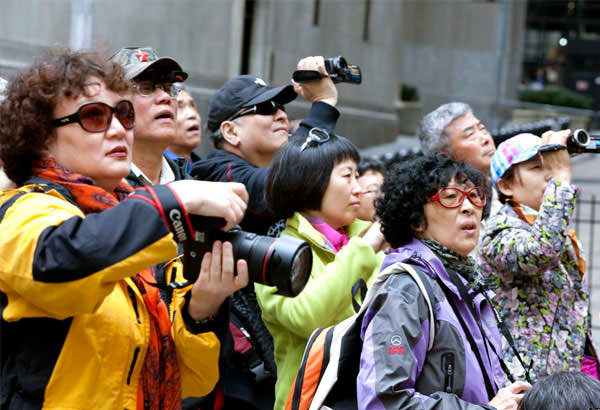 The DOT spokesperson, meanwhile, said that the target is to acquire 69 to 70 million domestic tourists by yearend. Last year, the Philippines acquired 62 million domestic tourists. As for Mindanao, Alegre said that with the recently-launched Mindanao Tourism Agenda (MTA), the island is expected to generate approximately 15 million tourists by yearend. Alegre also said that according to DOT regional directors in Mindanao and Visayas, festivals and other events in both islands will push through despite Mindanao being placed under martial law. “Secretary Wanda told our regional directors there to convene stakeholders meetings. The feedback we got is that festivals are pushing through. It (martial law) doesn’t change our position to push Mindanao as a tourist destination,” Alegre said. “We all know that Siargao is booming but we need to tighten coordination with stakeholders because it’s important that tourists are safe,” he added. He also allayed fears that martial law would greatly dampen overall tourist arrivals in the Philippines. “Certain countries have bad connotation but we have reminded them that this is the only martial law where businesses are supportive of, there’s no suspension of congress and the judicial system and it’s only an isolated area,” the DOT spokesperson said. “…This is the type of martial law that is intended to retain and preserve peace and order in the community,” he added. He echoed Teo’s earlier statement that recent untoward incidents were only a “temporary setback” to Philippine tourism. “For us (martial law) is an indication that somehow when there’s a tighter security measure, there is a perception that (tourists) feel more secure. We’re positive that the decision to secure and make Mindanao a safer place will boost tourism,” Alegre said.